New York's City of the Sun is a worldly, genre-bending instrumental trio whose sound combines their love of indie rock, flamenco, and post-rock. Formed in 2011 by guitarist John Pita, COS also features guitarist Avi Snow and percussionist Zach Para. Having honed their sound performing on the streets of New York City, the group first gained wider attention after playing a 2013 TED conference. 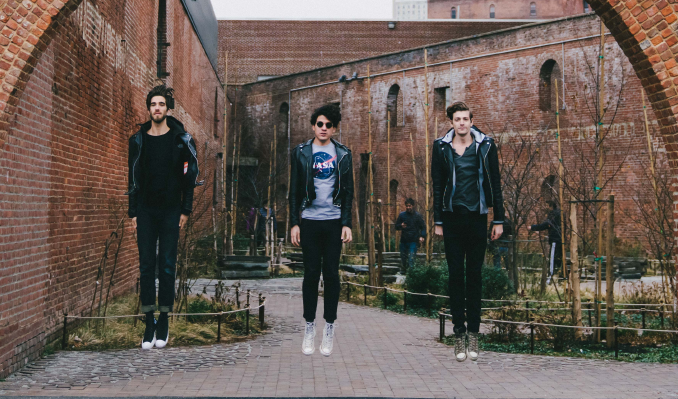 Since then, City of the Sun has headlined and sold out NYC venues like the Gramercy Theater and Brooklyn Bowl; they played SXSW, Firefly, CMJ and CBGB music festivals, among others. The band supported Charles Bradley and Gregg Allman, and have long-standing collaborations with Sofar Sounds and Godin Guitars. "The C Word" documentary, directed by Meghan O'Hara and narrated by Morgan Freeman, featured a score worked on by John, Avi, and Zach. In 2016, City of the Sun released their debut LP 'To the Sun and All the Cities in Between,' debuting at #12 on the Billboard Jazz Albums chart. The lead track "Everything" hit #2 on Spotify's US Viral 50 chart and #5 on Global Viral Chart and has garnered over five million plays to date.